Yovani, age 14, is a sponsored child from Uganda. “My name is Yovani. I am 14 years old and I am in senior one at high school. I joined Canadian Feed The Children’s sponsor a child program when I was still in primary school. I dream of becoming a teacher one day because teachers are respected people in the community. My favourite teacher at school is Mr. Kennedy. He is a good teacher and he likes children. I enjoy his lessons. He is always smart and is a respected member of society. My favourite subject is English. 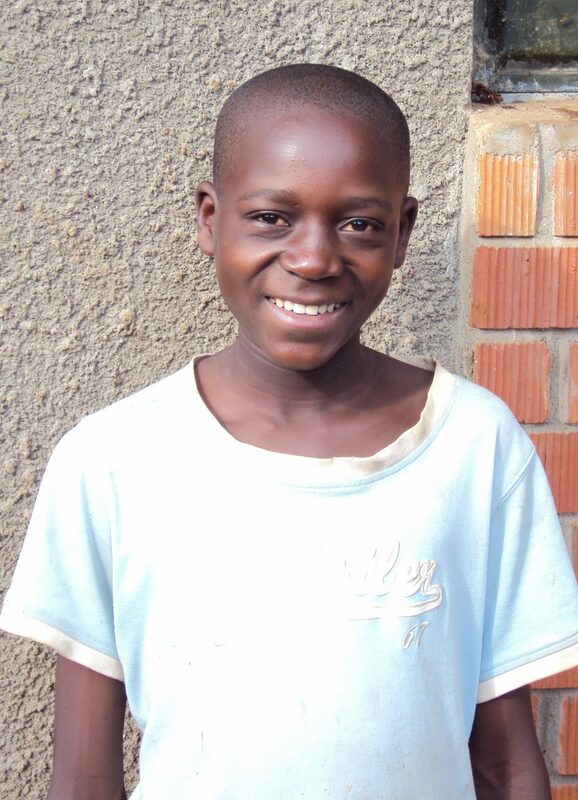 I like going to school to learn so that I can get a job someday to support myself and my siblings. Before I became a sponsored child, it was difficult for me to get books and pencils for school. My siblings and I would take a very long time to get books. My mother would buy a few books and cut them into two equal parts so that I could share them with my siblings. 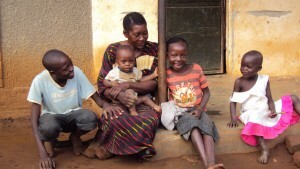 Yovani (left) with his siblings and mother outside the family home. Now, thanks to CFTC and [CFTC’s local partner] UCOBAC, I receive books every term, I get uniforms, I participate in the annual award ceremony, and I have gone on educational field trips. My primary school benefited from a classroom block, text books, a rainwater harvesting tank, a modern kitchen, a school garden, and a pit latrine. We used maize and soya from the school garden [to supplement our feeding] at school and I along with other pupils would also get contributions from the maize harvest for our homes. My parents also joined the Village Savings and Loans group supported by CFTC and they have benefited a lot from the training sessions. We also now grow a garden at home, and we received the seeds from UCOBAC. 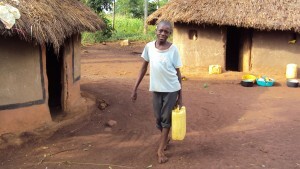 Yovani helps his mother with chores, including collecting water. The biggest challenge I have today is that my parents do not have enough money to pay for meals. My family expects to harvest crops from our gardens at the end of June or early July, and that is when we have money to pay for food. The other challenge is that now that I go to high school, I have to walk a long distance to go to school. It takes me an hour to walk to school. By the time I get there, I am tired. Sometimes I arrive late at school and lessons have already started. If I was not a sponsored child and attending school, my life would be bad. I think I would be a drug addict because some boys my age in my community who are not in school take drugs and drink, and play gambling games. I believe education is very important in everyone’s life because it helps people to get the jobs they want in the future. You can also make good friends at school.